of violin sonatas and other chamber music works. He is a top prize winner at a number of international competitions, including the Premio Vittorio Gui in Florence, the prestigious Concours Clara Haskil and the Colmar Chamber Music Competition. Mr. Rieger studied in Stuttgart, Munich and Freiburg with Dora Metzger, Vladimir Horbowski, Andrzej Jasinski and Carl Seemann. His concert activities have taken him to Washington D.C., New York, Boston, Berlin, Hamburg, Munich, Frankfurt, Rome, Milano, Warsaw, Zürich, Basel as well as the Schleswig-Holstein Festival and the Menuhin Festival Gstaad. 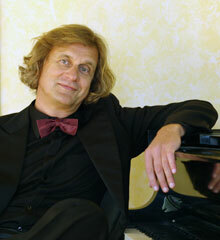 Friedemann Rieger is Professor of Piano and chambermusic at the Musikhochschule Stuttgart, and leads a masterclass for chamber music at the Musikhochschule Zürich-Winterthur.